No man can choose how much time he has, he can only choose what to do with the time he is given. One way to go is to be a total jerk during your reign. You certainly can be. You can be shady, always involved in questionable rules calls and investigations of possible cheating. You can openly trash talk and belittle your competitors. You can be rude and obnoxious. You can be the villain. Some players act this way, drunk on the power they command in their little corner of the world. Some players are jerks to begin with and will act this way, power or not. Competitive gaming communities value the ability to win tournaments so much that they will put up with you, possibly even “love to hate you.” Tournament judges will probably be looking for excuses to make your life harder, but if you’ve gone down this path, you probably don’t care about that since you love the infamy of it all. The thing you might not be thinking about, though, is that your involvement with your gaming community is likely to far outlast your reign of terror at the game. To get where you are, you’ve probably met many players who have become friends and acquaintances, and since you have common interests with them (the game you play), your relationships are likely to outlast your win streak. How will you be remembered when new kings of the game take your place? My name is Ozymandius, King of Kings: Look on my works, ye Mighty, and despair! Shelley’s poem was about a traveler who encountered a pedestal at a ruined statue surrounded by nothing but endless stretches of sand. Though the king’s accomplishments are long forgotten, his ire and arrogance live on. Incidentally, “Ozy” comes from the Greek “ozium,” meaning “breath” or “air.” “Mandias” is from the Greek “mandate,” meaning “to rule.” Ozymandius was a “ruler of air” or a “ruler of nothing.” Something to think about before getting too drunk on your own measure of “power” in your gaming community. It is not so easy as you might think to judge the actions of a powerful player as good or evil. Consider two examples: The Slaughterer and The Teacher. This is the case of legendary Street Fighter player Thomas Osaki. I did not actually play with Thomas during his heyday, but I have since met him and I hope he forgives any misrepresentation of his conduct during his glory years. In his day, Thomas Osaki dominated the game of Street Fighter in Northern California. His reputation for “playing to win” was quite extreme. They say he never really engaged in “casual play,” but rather always played his hardest, as if every game had something on the line or was a serious tournament. They say he played this way regardless of his opponent, even if his opponent were a nine-year-old girl with no skill at the game. He would “stutter step, throw” her like all the rest (a particularly “cheap” tactic). Did he have no compassion at all? Was he just a jerk? I like to think of Thomas (or his legend, in case it happens not to be true) not as mean player, but as an inspiring player. He set a bar of excellence. In his path of self-improvement, he was not willing to compromise, to embrace mediocrity, or to give less than his all at any time. His peers had the extraordinary opportunity to experience brilliant play whenever he was near, not just at rare moments in a tournament. And what of the nine-year-old girl? Perhaps she had no business playing in the first place. From Thomas’s view, getting her off the machine allowed him to face the opponents he “should” be facing anyway. Before we get to The Teacher, and before you write me letters on any of this, consider the parable of The Shadows and the Vorlons from J. Michael Straczynski’s Babylon 5 television series. In this space epic, the Shadows and the Vorlons are the two “ancient races” that have opposite belief systems about how to treat all of us younger races. The Shadows cause chaos and unrest. They make deals engineered to incite war between races and they double-cross their “allies.” They use nearly invulnerable spooky black ships piloted by kidnapped telepaths to attack, unprovoked. Obviously, they’re evil. The Vorlons, on the other hand, are diplomatic and nurturing. They prefer to stay out of the action, letting the younger races develop on their own, but the Vorlons do make critical moves to help the younger races unite. In fact, the Vorlons even seeded the galaxy with certain DNA during the beginnings of life to guarantee that all of us younger races would grow up to view them as gods when they appeared. This way, we will all be sure to listen to their message and unite against the forces of the Shadows when the time comes. The Vorlons represent good. Or do they? The Shadows eventually reveal that they are after the same thing as the Vorlons: to ensure that we younger races become strong and wise. The Shadows believe that showing up every few eons to shake things up frees the galaxy of the weak to make room for the strong. Coddling the weak, though poetic, is not healthy for the long-term survival of a race, they argue. The Vorlons seek similar ends, but through nurturing, promoting growth, and peace. One argument against the Shadows is that they are imposing their will and their beliefs on everyone, which is seen as wrong. Consider the application to competitive games, though. There are two key differences. First, the Slaughterer does not impose his beliefs on everyone—only those who play his game. While humans were not free to simply ignore the beliefs of the Shadows, no one is forcing you to play competitive games at all, much less the Slaughterer’s particular game. You have entered his domain by choice. Second, the very nature of competitive games is that one player (the winner) imposes his beliefs about how to play the game on another player (the loser). Perhaps this is inappropriate in galactic politics, but it’s exactly what competitive games are about. Those who are turned off by the notion of the Slaughterer imposing his values of winning and losing really shouldn’t be playing competitive games in the first place (or they should adopt the values of the Slaughterer). Although this Shadow approach may seem harsh, I am often reminded of the meetings between American and Japanese players of Street Fighter. In general, the Japanese are on a higher level of play (I won’t go into the reasons for that here). When faced with a new set of incredibly strong opponents such as the Japanese, wouldn’t you rather your own community of players were trained in a results-oriented system that pruned the weak and produced winners forged in fire? A nurturing, kindergarten-like system may have many more civic virtues, but when you face the Japanese (or any fierce opponents) only military virtues will save you. Still, though, the Vorlon’s approach has some appeal. I know everyone wants their way to work and is rooting for good to triumph over supposed evil. Many players need coddling before they can mature into strong warriors. The gaming community as a whole needs nurturing teachers who can guide new players in the right direction. Surely the community as a whole would benefit from having nurturing teachers working to increase the number of overall players, and increasing the skill level of those players. 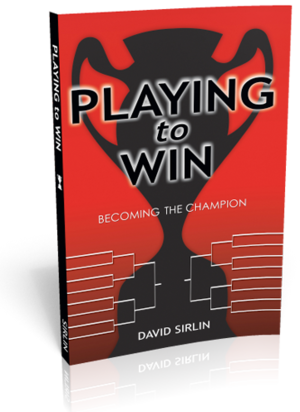 By mentoring weaker players rather than just slaughtering them, they are increasing the overall level of competition and slowly forcing everyone to improve. So who is right? Unlike the Shadows, I’m not here to impose my beliefs on you (on this topic, at least), so you will have to choose for yourself. I think either approach is viable and perhaps a gaming community needs people from each of these camps to be complete. I will say this, though: taking the Shadow’s approach will generally strengthen your own play skills, while taking the Vorlon’s approach will generally weaken them. Teaching has its virtues, but it is often bad for the teacher. The Teacher does have to learn both the fundamentals and the nuances of a game well enough to teach. He will have plenty of opportunity to observe common mistakes and to critique the play of others. Unfortunately, there are no medals for critiquing play, only for winning, though there is something to be said for living vicariously through the success of your students. The Teacher has several forces working against him. First, all the time he spends on helping weaker players could be spent playing against stronger players. Next, he can develop bad habits by using techniques on weaker players that would never work on stronger players. And what’s worse, he will not have even a fraction of the practice that the Slaughterer will have when it comes to “pushing as hard as you can for as long as you can.” The Teacher will often need to push just enough to challenge the student, giving them chances to learn this or that concept. Remember, even I advised playing weaker players as part of your development so you can hone a technique you’ll only get a brief chance to use in a real game. The Teacher must often take on the role of that weaker player. Meanwhile, the Slaughterer learns to push and push and never let up, never give up. Every moment he plays the game, he plays as hard as he can. Even if his weaker opponents don’t give him practice in tactics, they always give him practice in keeping his intensity at 100% at all times, an invaluable tournament skill. Slaughterer or Teacher, it’s up to you. Everyone defends the merciful teacher, but I hope I have made a case for you to appreciate the virtues of the cold slaughterer. He’s the one pushing the envelope of play skills, which makes his contribution incredibly valuable, even if it is not often popular. or leave a tip if this book helps you on your journey of self-improvement.